I am not sure if what I am about to say is in any way consistent to the media or my previous post but I will do my best in the aspect of a user and not some paid commercial. 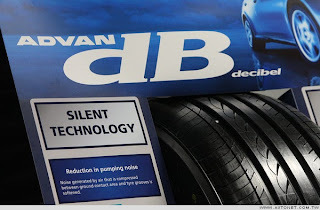 A friend of mine recently had his tyres replaced with the Advan dB v551 for his 3 year old Nissan Sylphy and he is very contented with its silent and comfortable ride. 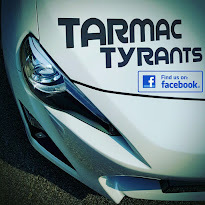 To him, it was the best tyre choice thus far and even the Mrs was happy. I couldn't agree more because in my opinion, his Sylphy was really quiet on a stock profile of 195/65R15. Now, how would the v551 fair on a sportier profile? Just one size wider compared to a stock M3 and slightly shy of a GT-R, I had my Yokohama AVS T5s fitted with 245/35R19 (front) and 275/30R19 (Rear) in a staggered configuration. This is about as wide as I will go as I had already burnt a hole in my pocket. In the pouring rain, the hydroplaning characteristic was pretty awesome as the handling in wet conditions were impressive. Ride comfort was decent for such a low profile and overall road vibrations were not overly emphasised. On dry roads, the Advan compound performed as expected but it doesn't grip like a semi-slick. Nevertheless, I still think the overall experience is acceptable (considering the profile) but if true silence is the mother of your expectations, perhaps avoid going this low.